The journey to Orlando was to be my first experience of the U.S. public transport systems. Starting with the buses in Miami, which are fairly priced and comfortable; transfers between routes is free and each bus has a seat dedicated to the memory of Rosa Parks. I had to get from my hostel to the airport and from there to the Greyhound terminal. Shortly after getting on the bus, rain clouds came over and outside it got very wet, very quickly. I did not sign up for rain. After checking with the bus driver where I needed to get off, four locals also informed me when we were approaching having over heard our conversation. At the terminal, I found that the instructions the website gave do not entirely match up to how things work. I could have rolled up ten minutes before the bus was due to leave and got on without a problem instead of having an hour to kill. Once the bus arrived, I immediately started chatting to the guy who got on in front of me, an unmistakable English accent and a backpack was all I needed and much to my surprise he was from Reading. I didn’t get his name, but he was visiting film festivals in the south-east with a short comedy about Elvis. 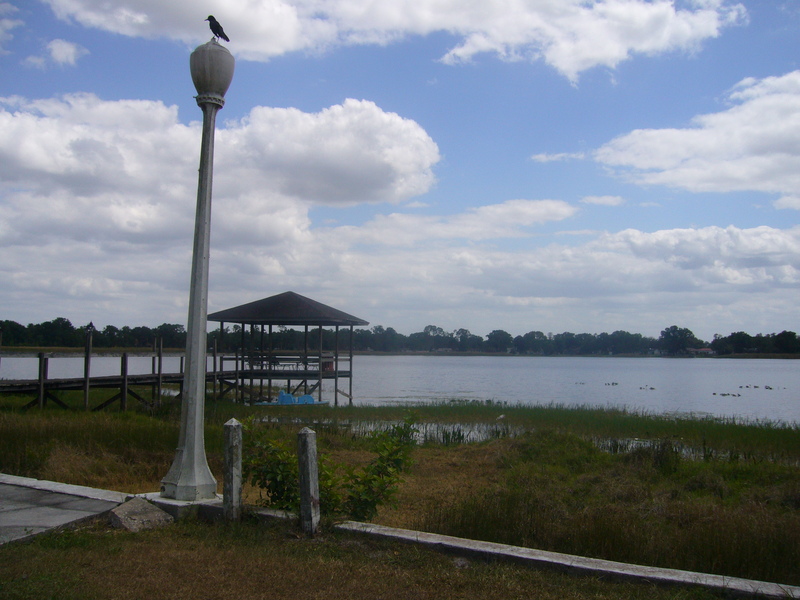 He left the bus at West Palm beach and I continued on to Kissimmee. 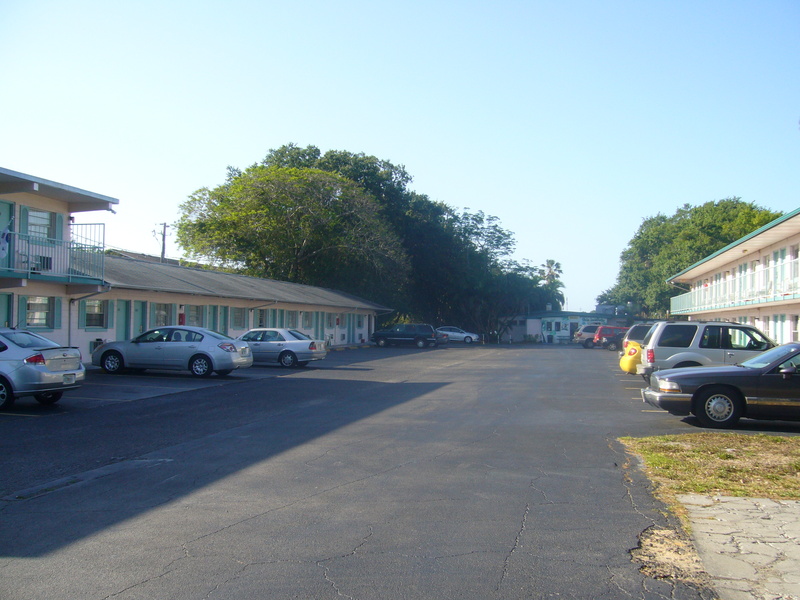 Once I arrived in Kissimmee, I again needed to get two buses to the Palm Lakefront Hostel. This time, what I found to be most impressive were the bike racks on the front of the bus. When I arrived at the hostel my first impression was “I am not going to like it here”. The initial atmosphere and appearance made me feel like I had walked onto the set of a horror film. I was shown to my room by a gent that totally fit the stereotypical Southern American, slack-jaw and all. I then found myself talking to Californian, John, who might be the most chilled out guy I have ever met. 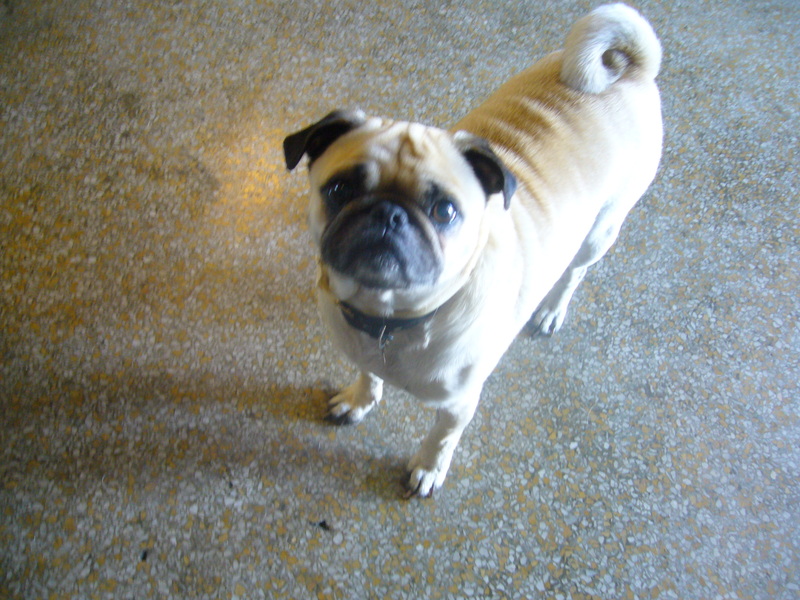 After settling in, I got to work organizing a trip to the Kennedy Space Centre and began working on plans beyond Orlando occasionally being interrupted and easily distracted by the little pug that was occupying the lounge area. After a few hours of unsuccessful research I decided to call it a night. I spent about half an hour reading, when a room-mate turned up and we got chatting, Sim, who had grown up in China, earned his degree in Edinburgh and was now working for Disney. The next morning I got up, grabbed some fruit salad and put the rest of the day aside to relax and get some things done. The hostel is, as the name suggests, on a lake, and the rear grounds were a perfect place to enjoy a couple of hours reading before the day got too hot. In the heat of the day I continued with researching the next leg of my trip, looking into St. Augustine, Savannah and eventually Charleston, trying to find somewhere that I could both get to, and find accommodation at for my journey north. Nothing worked out. After several exasperated sighs, and head in hands moments I decided to make a huge decision and booked an 18 hour Amtrak journey to Washington D.C. Good news for those of you who have had enough of the “this is nothing, I once spent 14 hours on a train” line I keep using, it’s soon to get an update! Once my plans were settled, I got some dinner together and started socializing with the few guests hanging out in front of the hostel office, spending the most time getting to know Daniel from Sweden. He’d taken a year out of learning between college and university to travel and I was impressed by the distance he had covered. After a few hours of hanging out, I knew I had an early start the next morning to get to the Kennedy Space Centre, I headed off to bed.